The starting point in the wellbeing research of this chapter is that life is full of suffering, just as the living environment is full of bacteria, viruses, and toxins. Therefore, a realistic strategy to research sustainable happiness needs to include at least two components: (1) the capacity to overcome or live with suffering and stress, as measured by a comprehensive misery index, and (2) the process to achieve mature happiness and flourishing despite the dark side of human existence. This two-pronged approach is based on the second wave of positive psychology (PP 2.0). At the broadest level, wellbeing research needs to be situated in the context of universal human suffering, while a middle level of theorizing needs to specify the special circumstances and people. Furthermore, a complete theory needs to integrate the best evidence and wisdom from both the East and West. Mature or noetic happiness is characterized by a sense of acceptance, inner serenity, harmony, contentment, and being at peace with oneself, others, and the world. What kind of good life can one experience while confined in a hospital bed, suffering from all sorts of discomfort and pain? I am sorry that it is not the kind of good life described by Marty Seligman & Co. It is not based on positive feelings, engagement, achievement, or any creature comfort. I feel that the world has abandoned me in a dark pit with people who are moaning and groaning. While alone, surrounded by darkness, anxiety, and fear, I have discovered a spiritual or transcendent kind of good life, based on the wisdom of understanding the finitude of life, the humility of letting go, the spirit of repentance and forgiveness, the attitude of loving-kindness to all, and bearing the fruit of righteousness. I am surprised that positive psychology knows so little about the kind of good life described in James 3:13-17 and experienced by those who have to cope with suffering and dying 24/7. On really bad days—which will come to all of us sooner or later—we need something higher and something deeper to get us through; we need a different kind of happiness in extremely trying circumstances. Happiness in the noxious world is predicated on the human capacity to transcend and transform negative experiences through meaning and faith (Wong, 2008a). The greatest achievement of humanity is its ability to experience the invisible spiritual reality and discover shining stars in the darkest night of the soul (Wong, 2008b). We become nobler, purer, kinder, and more generous, when we dig deep into our innermost being and reach out to the highest heaven, while struggling to survive unimaginable terror and torment. For suffering beings (Homo Patients), happiness has a deeper meaning than positive affect, life satisfaction, or subjective wellbeing. 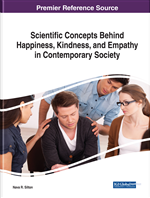 Unfortunately, scientific research on happiness has primarily focused on the pleasant life (hedonic wellbeing) and the flourishing life (eudaimonic wellbeing) (Delle Fave et al., 2016; Disabato, Goodman, Kashdan, Short, & Jarden, 2016) with little attention to the contextual factors involving prolonged suffering. Veenhoven’s (2014) World Database of Happiness does not even include research findings of happiness in suffering. The reality is that all those suffering from a variety of misfortunes—such as poverty, sickness, accidents, or discrimination and oppression—also want to know how they can experience happiness; therefore, psychologists and policymakers need to be concerned about their needs. There are reasons to believe that there is a third type of happiness, which has been variably described as deep happiness (Delle Fave et al., 2016), charismatic happiness (Wong, 2011), mature happiness (Wong, 2017a), and attunement-based happiness (Haybron, 2013; Wong, 2014). According to Wong (2014), attunement is a positive mental state, characterized by a sense of contentment with life and being at peace with oneself and the world. It is similar to Haybron’s concept of attunement, Siegel’s (2007) mindfulness-based attunement, and Wong’s (2012) resting mental state characterized by mindful awareness.